Hey all new member here trying to find a community of fishman in the Philadelphia area. I’ve been creeping on the site for awhile and figured I’d become a member. I’ve been fishing my whole life mostly freshwater in the Delaware county and Philadelphia county areas. This past year I’ve gotten more into jetty, sod bank, and surf fishing. Looking to learn as much as I can from some more experienced anglers. So anyway hello! What’s up? The PA forum is pretty dead most of the time. Freshwater spots are very susceptible to spot burning and people don’t share much here. The freshwater forum does better for volume - though not specific to anywhere close to home. Also, many of us PA guys frequent the NJ forums - which is where I do most of my fishing anyway. (“Most” is an optimistic way to put it for me anymore, since I have four little kids.) Sounds like you’re probably hitting sodbanks & surf spots of NJ yourself. What’s good! Where abouts? I’m down near the stadiums. Yea I kinda figured not much was going on haha. And I agree with the ol spot burn much easier to accomplish on the freshwater side of things. I will definitely be spending most of my time in the NJ forums. Just figured I could try and reach out to some more local Angler’s and talk shop. welcome to the site man. If you ever see a blue truck with a red cap rolling through the streets in the city or on the beaches, thats me. Be sure to say whats up, you cant miss it. Awesome man thanks I’ll keep an eye out for ya! I’m down south right off snyder. If you see me on the beaches I’ll be on foot I need to step up and get a 4x4. What up yo? This site has plenty of info, but you also have to put your time in which I see that you're doing. I was down in, "Sowf Philly," for a lil bit, 16th & Wolf area, parking is such a joy down there Man do Imiss the bread! Anyway, good luck with the fishing. That’s that’s my good right there 13th and wolf. Yea so far this site is awesome lots of tips and whatnot you just have to read and ask questions. Thanks man and good luck to you too. I've been fishing the Philly area my whole life. I consider the Wissahickon my "home" stream but don't usually start fishing it till early May when the smallies, largemouth and pan fish start turning on. 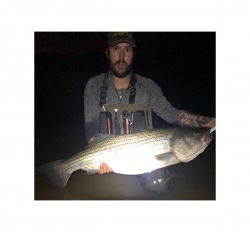 Do some fishing in Chester and Montgomery County. Planning on getting back into surf and jetty fishing this year. It's been a while since I've done that. Getting ready to replace the hooks on my lures and tie up some buck tails. If you see a guy wandering on the beach or jetty in Brigantine carrying a surf rod and a fly rod. That'll be me. Nice!! 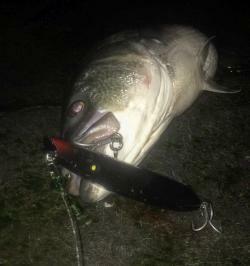 I definitely need to do some more urban angling. There are definitely some secret gems in the area. Well anytime you want to hit the surf or a jetty let me know! Always down to fish meet new people! Been fishing the Delaware catching smaller bass while they make their run. 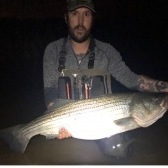 Hit the Chesapeake and caught my PB striper at 40 lbs so that was pretty awesome. Haven’t done much besides striper fishing this year though.